Will the U.S. Finally End the Death Penalty? In the past, abolition efforts have faced a backlash—but Gavin Newsom’s moratorium may be different. The American death penalty is extraordinarily fragile, with death sentences and executions on the decline. Public support for the death penalty has diminished. The practice is increasingly marginalized around the world. California, with its disproportionately large share of American death-row inmates, announces an end to the death penalty. The year? 1972. 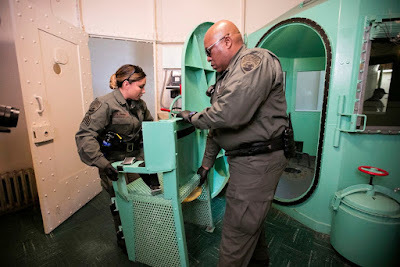 That’s when the California Supreme Court declared the death penalty inconsistent with the state’s constitutional prohibition of cruel or unusual punishments—only to have the death penalty restored a year later through popular initiative and legislation. Iran Human Rights, January 25: One prisoner was hanged in the prison of Ilam yesterday morning reported the state run Iranian news agency Fars. The prisoner who was not identified by name was convicted of murder and sentenced to Qesas (retribution). According to the official Iranian sources at least 17 people have been executed in different Iranian cities in the last 9 days. 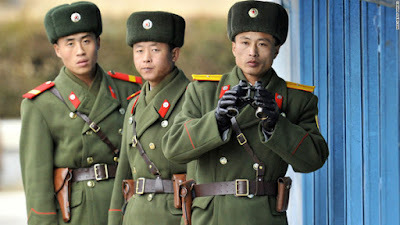 North Korea have publicly executed 2 women and jailed another for life because they were fortune tellers. The trio had allegedly formed a collective named the Seven Star Group and claimed a ‘spirit oracle’ could be channelled through 2 children, aged 3 and 5, to tell the future. A source within the country told Radio Free Asia that the execution was ordered to ‘maintain social order’ over fears fortune telling had become too widespread. Thousands of people reportedly attended the execution of the 2 women in Chongjin, North Hamgyong Province. In 2013, Kim Jong-un ordered the execution of his own uncle, Jang Song-thaek, a high ranking government official, after accusing him of trying to increase his own power. A bitterly divided Supreme Court ruled early Friday morning that the execution of an Alabama death row inmate could proceed. The vote was 5 to 4. 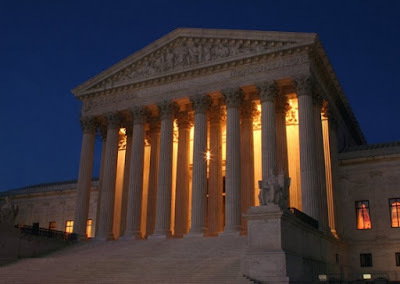 Justice Stephen G. Breyer’s anguished dissent, issued around 3 a.m., said the majority had denied his request that the execution be delayed so that the justices could discuss the matter at their scheduled private conference on Friday morning. That was a rare glimpse into deliberations that are ordinarily secret. The dispute among the justices lasted long enough that Alabama officials called off the execution of the inmate, Christopher L. Price, which had been scheduled for Thursday night. They said a new execution date will be set. A delivery driver, who failed to convince a high court judge that he did not know he was delivering drugs instead of contraband cigarettes, has been handed the death penalty after being convicted of drug trafficking. 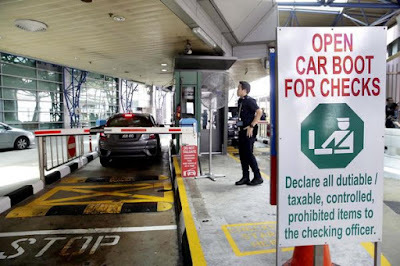 Mohamed Shalleh Abdul Latiff's defence during a 7-day trial that concluded on Jan 28 hinged on the claim that he thought the 3 bundles he was tasked to deliver contained contraband cigarettes. 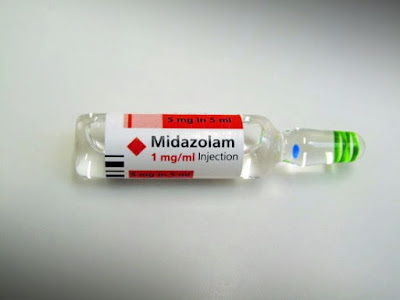 But the bundles were found to have contained 54.04g of diamorphine, also known as heroin. The Misuse of Drugs Act provides for the death penalty if the amount trafficked exceeds 15g. In her grounds of decision released on Wednesday (Apr 10), High Court Judge Hoo Sheau Peng said the accused failed to successfully rebut the statutory presumption of knowledge of the drugs he was carrying. At the end of the trial, Justice Hoo passed the mandatory death sentence on Mohamed Shalleh. There were no details on the accused's age and nationality. The foreign ministry has confirmed that 2 Indians, Satwinder Kumar of Hoshiarpur and Harjeet Singh of Ludhiana, have been beheaded in Saudi Arabia on charges of murdering a fellow Indian. The 2 were executed on February 28 this year. The Indian embassy in Riyadh, however, was not informed by the Saudi authorities before the executions. The families of the deceased may not get the bodies because of rules against it. Harjeet and Satwinder killed Imamuddin after a scuffle broke out between them over distribution of some money they had looted. The details of the fate of Satwinder Kumar and Harjeet Singh were revealed by the foreign ministry after a petition was filed by Satwinder’s wife Seema Rani. In the letter, delivered to Seema on Monday, it was revealed that Satwinder and Harjeet were arrested on December 9, 2015 for allegedly killing Arif Imamuddin. Death row inmates who challenged their method of death lost their case in Tennessee, but that's not the end of it. The case is now headed to the United States Supreme Court and could bring planned executions to a grinding halt. Death row inmates challenged the state's lethal injection protocol in 2018, arguing the three drug cocktail is inhumane. The Tennessee Supreme Court threw out their objections, leading to the inmates to the U.S. Supreme Court and an advocate, who might surprise you. "This is our 1st such brief and we are excited to be a part of it," said Hannah Cox. Cox is with Conservatives Concerned About the Death Penalty. Yes, conservatives -- who Cox admits traditionally support capital punishment. "That's absolutely been the stereotype and it's been true for many years," said Cox. Is this the beginning of the end for Ohio's death penalty? Jeffrey Wogenstahl was supposed to die today. If things had gone according to plan, he would have been strapped to a table this morning and injected with lethal drugs. His loved ones, lawyers and the family of the 10-year-girl he was convicted of killing could have watched. Wogenstahl's case began in 1991 when 10-year-old Amber Garrett went missing and was found dead three days later in Indiana. A jury found him guilty of beating and stabbing the girl to death. Wogenstahl was 31 at the time. He's 58 now. After 27 years of lawsuits and appeals with three cases pending at the county, state and federal level, Wogenstahl was granted an indefinite stay of execution by the Ohio Supreme Court last fall due to open questions about his case. Since then, Ohio Gov. Mike DeWine has suspended all executions in a continuing struggle for the state to find a painless way to kill death row inmates. She’s produced no list of witnesses she plans to call at trial. She has yet to look over the boxes of discovery turned over to her by the state. She brings no documents, not even a legal pad, with her into the courtroom. Yet on Monday, Tiffany Moss will represent herself as Gwinnett County prosecutors seek the death penalty against her. 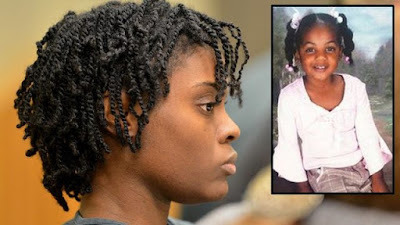 Moss faces murder and child cruelty charges for allegedly starving her 10-year-old stepdaughter to death and then burning her body in 2013. As described by law enforcement, the brutal death of 10-year-old Emani Moss is one of the most notorious cases of child abuse in Georgia history. The young girl weighed only 32 pounds when her charred body was found in a dumpster outside the apartment where she lived. Moss has said she is leaving her fate in God’s hands, rather than the two experienced public defenders who were initially assigned to represent her. 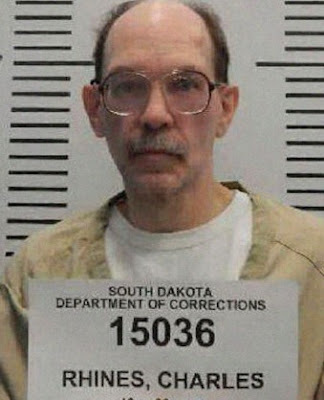 A gay South Dakota prisoner’s claim that his death sentence was unconstitutionally tainted by homophobia was denied U.S. Supreme Court review. In rejecting Charles Rhines’ appeals on April 15, the justices declined to take up what would have been a hot-button case on multiple levels. It pits two evolving areas of the law against one another—gay rights and the sanctity of the jury room—at a time when capital cases have sparked sharp divides among the justices. But though heated dissents have been common of late, there wasn’t a peep of protest from any of the justices as the high court cleared the way for Rhines’ execution for a brutal 1992 murder. Lawyers supporting Rhines, however, spoke up after the denial. Brunei is usually a quiet and tranquil country: crime is virtually unknown, traffic is light and its political scene is among the most stable in the region. Yet in recent weeks the small nation has been in the international spotlight over the introduction of draconian anti-homosexual and anti-adultery laws that had been delayed for some time. There are now calls for boycotts and the withdrawal of Western honorary degrees and other honors that had previously been bestowed on Sultan Hassanal Bolkiah, who is the last absolute monarch in Southeast Asia. 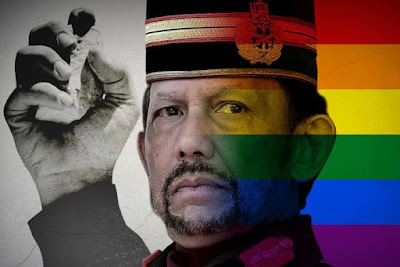 However, the Brunei government remains resolute in insisting that this is an internal affair and that the law be implemented without external interference. A federal judge on Thursday postponed the execution of an Alabama man convicted of fatally stabbing a Fayette County pastor in 1991, though the state could appeal the ruling in an attempt to carry out the execution before midnight. U.S. District Judge Kristi DuBose issued a 60-day delay two hours before the scheduled lethal injection of 46-year-old Christopher Lee Price. Price had argued Alabama's lethal injection protocol has "botched" previous executions and could cause unconstitutional pain and suffering. 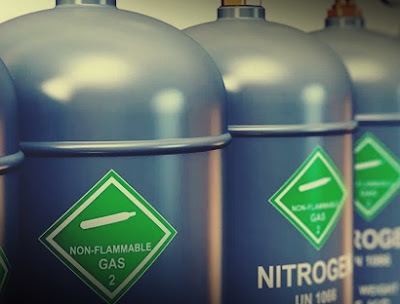 Price instead asked to opt for death by nitrogen gas, a method Alabama approved last year but has developed no protocol for carrying out. DuBose's ruling followed a Wednesday appellate court order which denied an execution stay, finding that Price missed a 2018 deadline to opt for nitrogen hypoxia. DPN opposes the death penalty in all cases, unconditionally, regardless of the method chosen to kill the condemned prisoner. The death penalty is inherently cruel and degrading, an archaic punishment that is incompatible with human dignity. To end the death penalty is to abandon a destructive diversionary and divisive public policy that is not consistent with widely held values. The death penalty not only runs the risk of irrevocable error, it is also costly to the public purse as well as in social and psychological terms.The death penalty has not been proved to have a special deterrent effect. It tends to be applied in a discriminatory way on grounds of race and class. It denies the possibility of reconciliation and rehabilitation. It prolongs the suffering of the murder victim's family and extends that suffering to the loved ones of the condemned prisoner. It diverts resources that could be better used to work against violent crime and assist those affected by it. 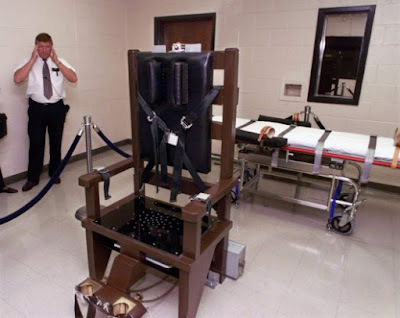 Death Penalty News is a privately owned, non-profit organization. It is based in Paris, France. Your donations to Death Penalty News DO make a difference. Ranucci : Pourquoi réviser ? Opposed to capital punishment? Help us keep this blog up and running!